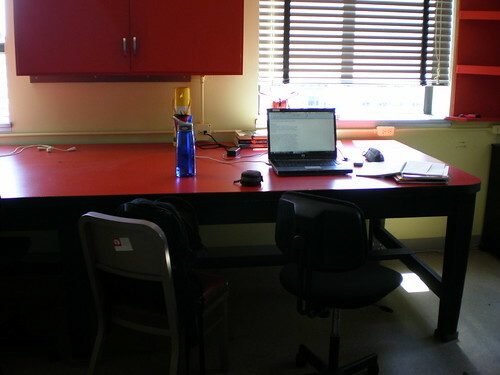 Jenn and Romy: My New Desk in McCone! 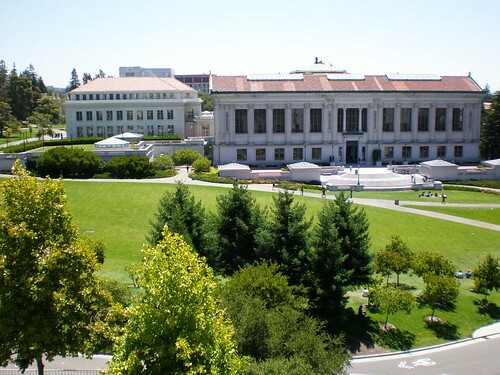 Today I feel like its official that I transferred to the Earth & Planetary Science Dept from Mechanical Engineering at Berkeley because I moved to my new desk! I was really excited to move because my old desk was in Etcheverry Hall, where there used to be a nuclear reactor in the 60s. My desk was in the center of the building and had no windows, just foot-thick concrete walls and recirculated air. Gross. My new desk is a corner room in McCone Hall and has 4 large windows that you could open to let fresh air in. I have natural light as opposed to flickering fluorescent lighting. My new desk and personal window! I had to close the shade so that the picture would come out. This is the view from my window. You can see Memorial Glade and the big library. I can also see the bay partially off to the right and the northern part of the Santa Cruz Mountains. 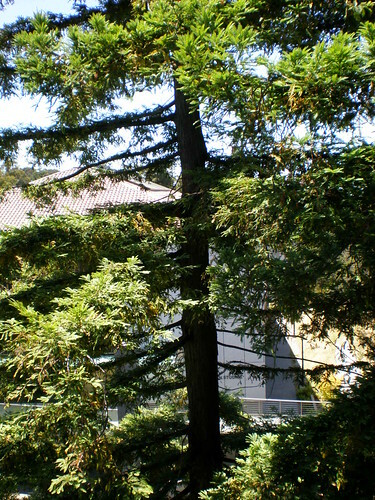 This is a view of a redwood tree out the west window closest to me. I like redwoods. This is the view from the south window to the left of my desk. 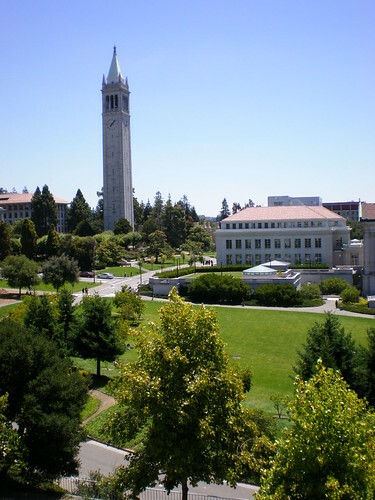 You can see the clock tower and the Oakland Hills. I hope that I don't find myself looking out the windows more than doing the work that I have to get done!